(August, 2018) – The High Holidays are a fitting time to take stock of the past year and clarify what we hope to achieve in the coming months. 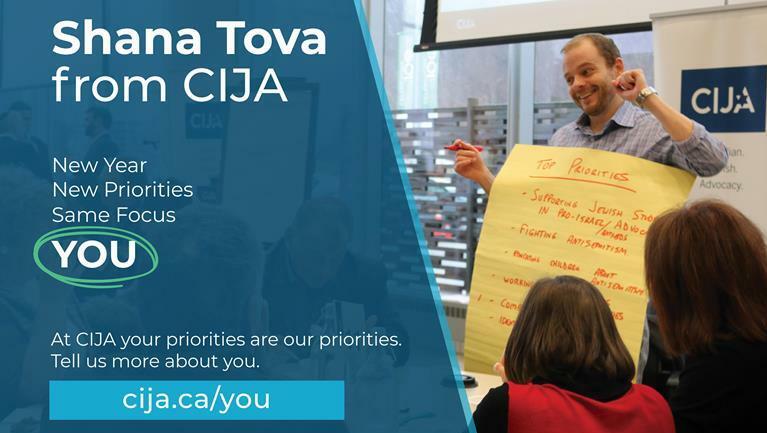 As the advocacy agent of the Jewish Federations of Canada, much of our work at CIJA is focused on promoting our community’s policy priorities. Whether in conversation with parliamentarians, journalists, or leaders in other faith and ethnic communities, we are constantly focused on advancing the issues that matter to Jewish Canadians. A key part of this work is doing more than just identifying problems—like antisemitic hate crimes. Rather, our goal is always to propose effective policy solutions—such as more resources and tougher laws to combat hate. Since last Rosh Hashanah, we have achieved some important milestones. One that I’m particularly proud of is last fall’s passage of Bill C-305. This law ensures that hateful vandalism against community centres and schools associated with an identifiable group (such as JCCs and day schools) are treated with the same level of seriousness in the Criminal Code as similar hate crimes against places of worship. I’m proud that CIJA organized a campaign to push MPs from all parties to support the bill, including by offering testimony on Parliament Hill, speaking out in the media, and mobilizing more than twenty diverse faith and ethnic organizations to join our efforts. This is just one example of how a strategic, multi-pronged campaign can achieve meaningful results for our community – and make Canada an even better country for all. We have a packed policy agenda for the year ahead that will address a wide range of key issues. While more details may be found on our website (cija.ca), I wanted to outline three areas to give you a sense of what you can expect from our team in the year to come. First, we are urging governments at all levels to do more to fight antisemitism. While most Canadians reject antisemitism, the world’s oldest hatred remains alive and well on the fringes of society. Statistics Canada consistently confirms that Jewish Canadians are the most frequently targeted religious minority when it comes to hate crime. Combatting antisemitism is a complex challenge requiring a smart, multi-faceted response. We are urging governments to strengthen law enforcement efforts to combat hate. Among other measures, this should include creating hate crime units within police agencies that currently lack them, improving the tracking of hate crime trends and data collection, and strengthening legal tools to combat hate speech. Antisemitism cannot be fought effectively without clear definitions. This is why we are urging governments at all levels – as well as police and relevant agencies – to endorse and use the International Holocaust Remembrance Alliance (IHRA) working definition of antisemitism. The IHRA definition offers a clear, common sense framework for separating legitimate political discourse from antisemitic commentary, recognizing that antisemitism today is often expressed in hatred toward Israelis and Israel’s existence. Second, we are continuing to advocate on the need for a national strategy to improve palliative care in Canada. According to experts, nearly three-quarters of Canadians do not have access to palliative care. CIJA co-led a broad interfaith coalition to champion this issue last year, supporting a successful bill to create a national framework on palliative care. That framework is expected to be released by the end of 2018. CIJA consulted widely on this issue within Canada’s Jewish community, gathering insights from grassroots Canadians and experts. In the coming months, we will be sharing a series of proposals on this important issue with elected officials and policymakers. Among other elements, we are urging the government to set specific goals, requirements and timeframes for expanding access to palliative care, backed by increased funding for homecare and hospices. Third, we are advocating for policies to help counter extremism, radicalization, and terrorism. While Canada is one of the safest countries on the planet, we must be vigilant in protecting Canadians from terrorism and extremist violence – and the radical ideologies that fuel them. This requires ensuring Canada’s laws strike the right balance between preserving public safety and respecting individual rights and freedoms. To cite just one example of our current efforts in this area, we are urging the government to amend Bill C-59, which includes a range of changes to Canada’s approach to national security. 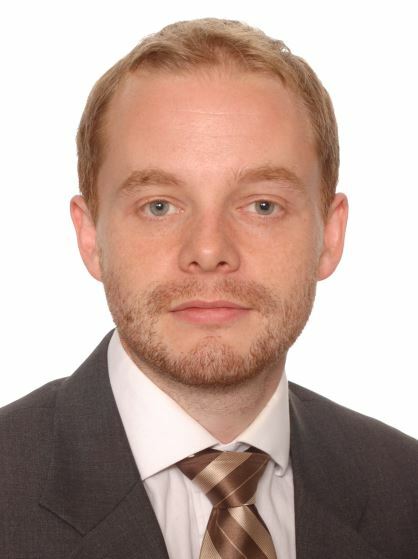 Our specific focus is one provision of the bill that changes the offence of “advocacy and promotion” to “every person who counsels another person to commit a terrorism offence.” This change in the law seems to restrict the crime to those who counsel a specific individual to commit terrorism, rather than those who call on a broad audience (such as social media followers) to commit acts of terror. We are urging the government to amend the bill accordingly. These are just three issues from our current policy agenda, to give you a sense of the scope of our work. I encourage you to visit our website and connect with us to get involved in the new year. Shana Tova! Be the first to comment on "CIJA’s Packed Policy Agenda for the New Year"